Ergobaby Doll Carrier allows children to carry their dolls at play just like grown ups carry their baby. It's perfect for dolls and teddies and can hold them in the front or back position. This is an ideal gift idea for siblings of a newborn baby. Why should I buy the Ergobaby Doll Carrier? Ergobaby Doll Carrier looks and feels just like the quality of the brand's baby carriers but a scaled down version. Your child can carry their own choice of passenger (and no doubt will include bears, dinosaurs, monkeys, trucks and Transformers). Children can use the 100% cotton Ergobaby Doll Carrier to carry dolls and toys on either their front or back. It has rounded edges and padded shoulder straps. This means it is nice and comfy for your child to wear. 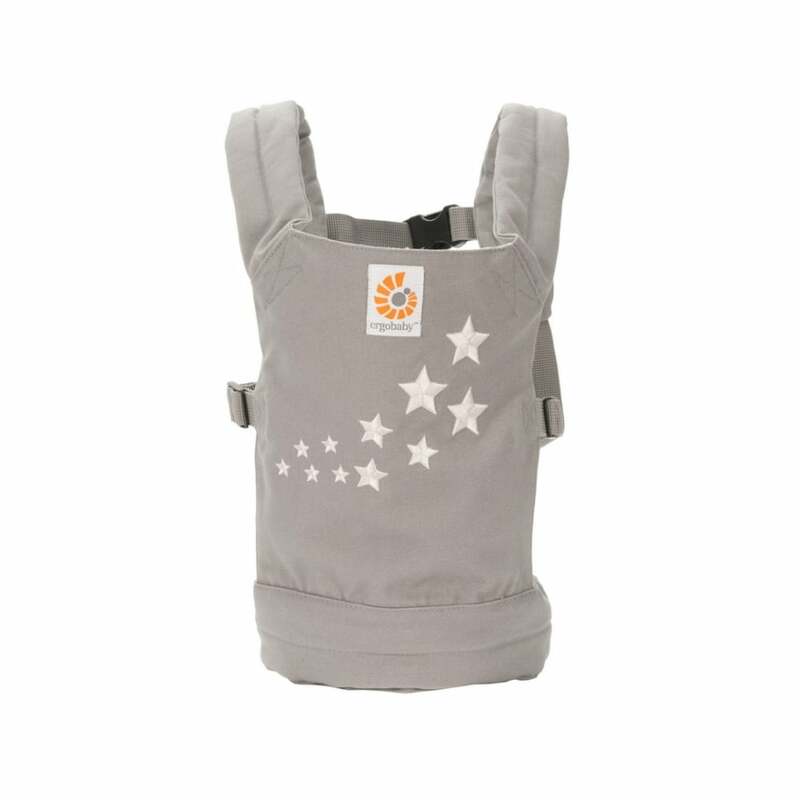 Toddlers from around 18 months old onward can use this stylish carrier, which is also machine washable. 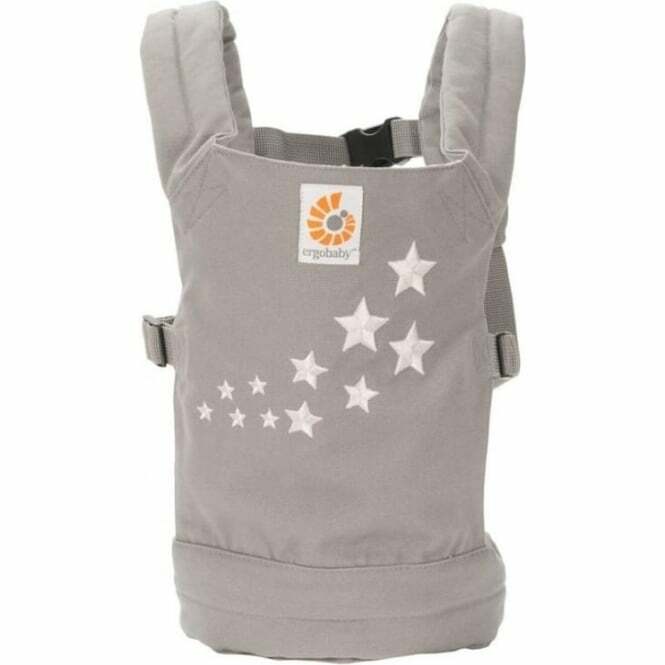 What are the specifications for Ergobaby Doll Carrier? Your Review - Great doll carrier ! This is the second one that I have bought as after buying for one grand daughter , the sister also wanted one ! Unfortunately not much choice of design so they have the same but with their names on !! Ideal for travel so that someone else doesn't have to carry the doll when they get tired !!! !